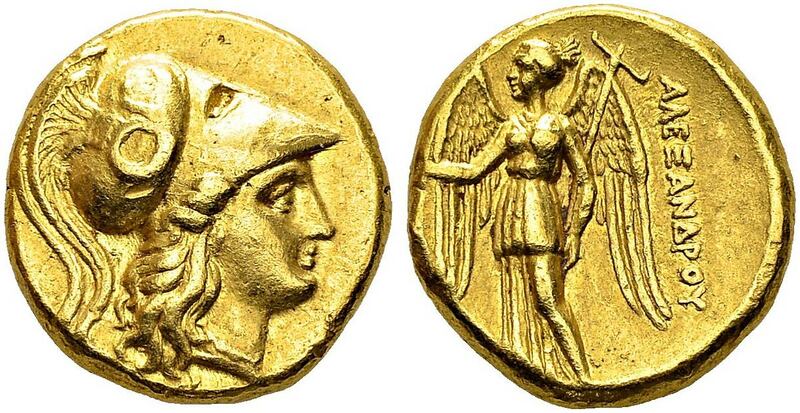 Kingdom of Macedon - Alexander III, 336-323 BC. 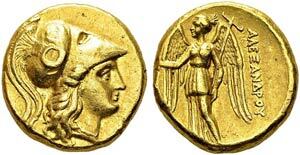 Gold stater, undetermined mint. Obv. Head of Athena right wearing Corinthian helmet. Rev. ΑΛΕΞΑΝΔΡΟΥ. Nike standing left, holding a wreath and stylis. Gold. 8.55 g.